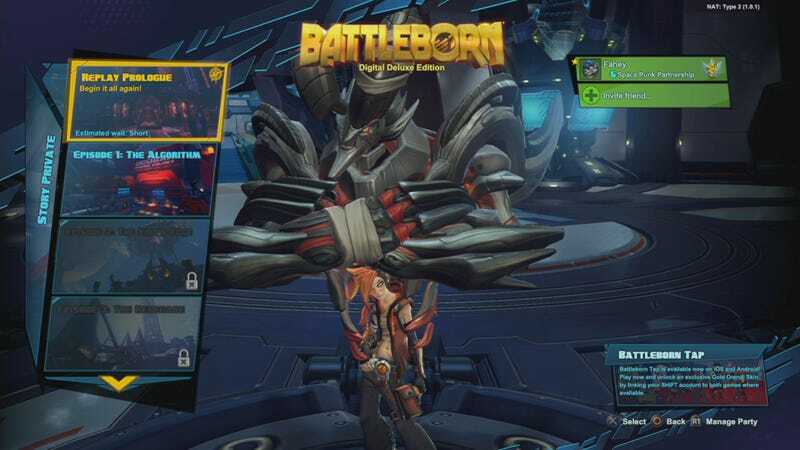 Yesterday I complained about not being able to replay the animated intro and prologue mission in Battleborn. Now I can, thanks to a game update so stealthy I didn’t even have to reboot. 2K senior communications manager Scott Pytlik dropped us a line to let us know the opening bits of Battleborn, previously inaccessible after completion, were now available in the Private Story section of the game’s menu. I am ridiculously impressed by this. I’d left my PlayStation 4 copy of Battleborn running all night, and I didn’t have to restart the game or download an update. I logged in and the option was there. This bodes well for response times to any bugs, glitches or exploits that crop up as the game goes on. Now if you’ll excuse me, I’m going to watch some cartoons.